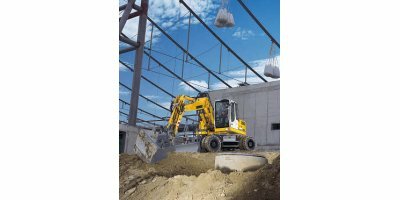 The high-performance A 904 C Litronic is powered by a Liebherr construction machine diesel engine which achieves its max. output at a mere 1,800 rpm. Excellent performance, high reliability and comfort are the outstanding features of this mobile excavator. The cost-effectiveness of the machine is further increased in conjunction with the Liebherr quick-change system.